In 2015 a survey to evaluate the use of the Data Point Model (DPM) by Competent Authorities (CAs) was carried out by the EBA. 26 Authorities submitted answers to the EBA DPM Survey 2015. The topics covered by the survey are: Review of reporting requirements, Extension of EBA reporting requirements, Data collection, Data integration and storage, Mapping of data, Exploration and export of data and Additional questions on the DPM. One of the questions is related to the use of the XBRL taxonomy provided by EBA for first level reporting. 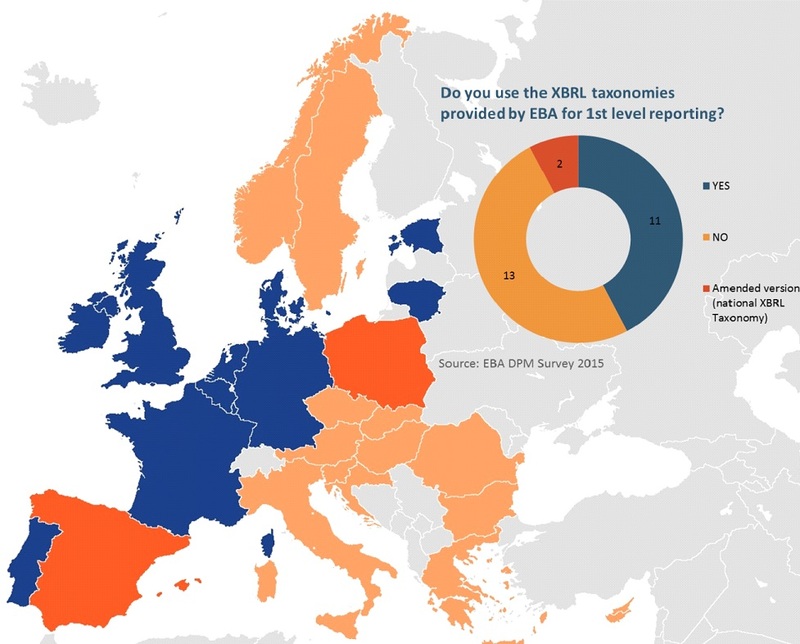 See also an European map summarizing implementations of reporting formats.